How to call a Smartform progrmatically that works in development, quality & production? Step1. 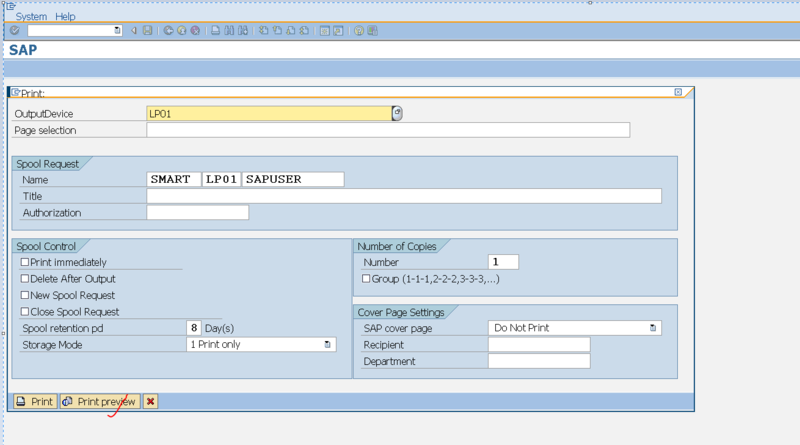 When a smartfrom is activated it generated a function module that is stored in the DB table. And when this smartfrom is moved to quality or production system and activated it may generate a different function module. So it means that for the same function module there may be different function modules associated with it in different environments. So the driver program should properly get the relevant function module name from the smartform and call it dynamically. For this reason sap standard has provided a FM. The below is a smarfrom. ZSM_FOUR. Step2. In the driver program use the FM : SSF_FUNCTION_MODULE_NAME and pass the smartform name and it will give you the function module name. 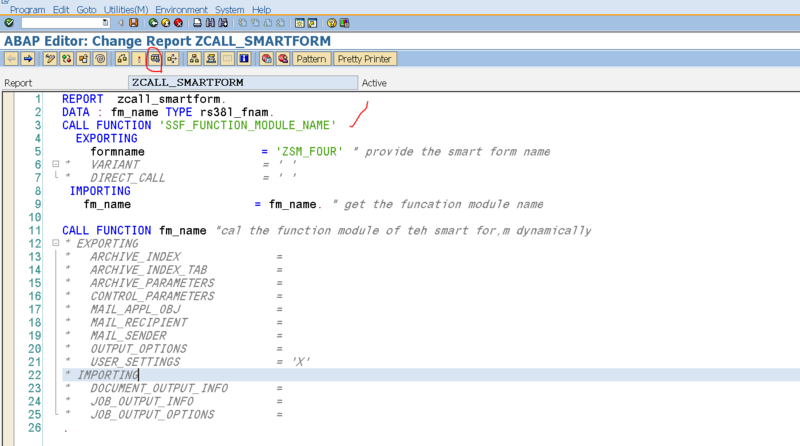 Call this function module dynamically to call the smartform output. Execute it. Step4. Here we have the output. Previous Post: How to call a Smartform Progrmatically?